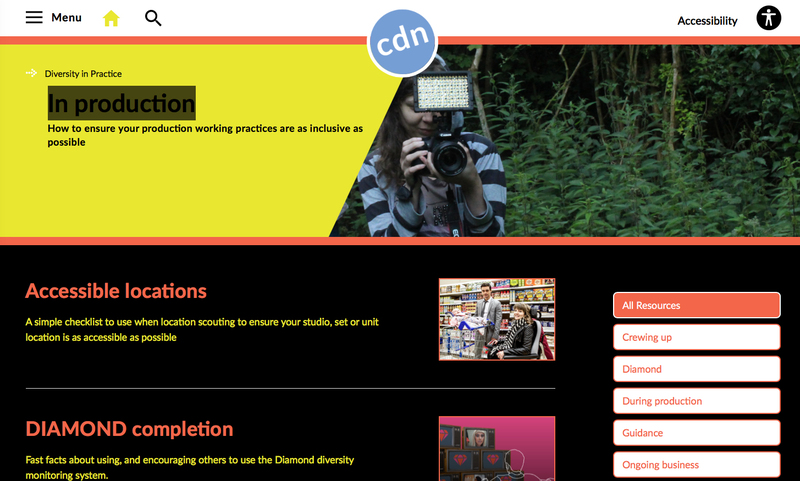 Diamond is a system that enables the main UK broadcasters – BBC, ITV, Channel 4, Channel 5/Viacom and Sky – to collect and report on the diversity of TV production in the UK. If you are working on or off screen on an original production which is commissioned by the broadcasters, you may be asked to complete a short diversity form. The initiative is managed by the Creative Diversity Network (CDN) on behalf of the broadcasters. Protecting your data is very important to us and Diamond has been designed to protect individuals’ anonymity. Your data is encrypted and held securely and used to produce reports about the industry. The reports produced are aggregated and anonymous, and information on individuals will never be published. Please contact diamond@creativediversitynetwork.com, or speak to your production company.